A couple of months back I was contacted by a new brand called Kiss Cosmetics; they were planning towards their brand launch and were enlisting the helping hand of some bloggers for the big reveal. 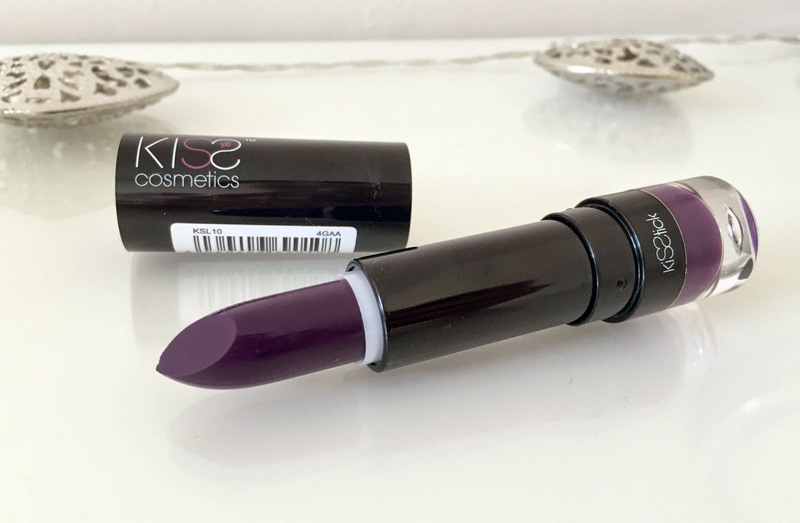 Kiss Cosmetics are a brand new UK based, colour focused makeup brand that will be initially centring their sole launch focus on their vibrant and affordable quality lip products. For the last couple of months a group of bloggers (including myself) that had been chosen to give feedback on the brands ideas have been commenting on a private Facebook group and giving opinions on what type of products we like to see. I thoroughly enjoyed being a part of this process and am happy to see that with this finalised lip product, the people with the power behind KC have listened to our comments. It’s always a really nice touch when a brand works together with their target audience to create an all round loved product and I can’t thank them enough for getting in touch with me on this launch. I was generously sent one of their new ‘KISStick’ lipsticks in the shade ‘Seductive Damson’*. KISStick is a range that consists of 10 highly pigmented lipsticks ‘for the wild’; guaranteed to WOW, they are lipsticks for the daring beauty lovers, but are also targeted to the ‘not so daring’ among us too! Seductive Damson is a gorgeous medium toned, deep purple (which basically means it’s a mix between a cool and warm shade) and at first I was really scared to give it a go. They definitely managed to pull off the ‘WOW’ response that they were aiming for with this KISStick and have also managed to target the ‘not so daring’ side of me with this colour. I’m the kind of girl that usually beelines for the nudes and pinks with occasionally a few bright reds so when it comes to daring colours, I’m not usually the girl for it. This purple however, has completely turned me! The formulation is so lovely and creamy to apply and has such an amazing lasting power. 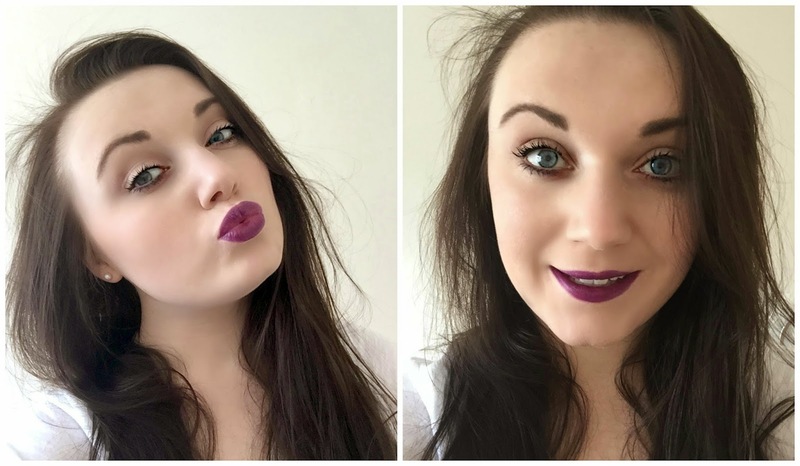 I really love this lipstick and I actually can’t believe that a start out brand has been able to convert me to a purple lipstick lover! It works so well with my skin tone and hair colour and I cannot wait to get my hands on some more shades! Can we also please talk about this packaging? It’s gorgeous and so simple – I also really love that you get a glimpse of the true shade at the bottom! I’m very excited for KISS Cosmetics to launch on week beginning April 20th! Make sure you keep an eye on the website here – this gorgeous lipstick along with other shades in the KISStick range will be available at such an affordable price of £7! Let me know what you think and if you’re going to try this new brand out! Don’t you just love it when a new beauty company launches?! I really want this shade now, my post goes live tomorrow on a different shade of KISSstick, it's a good one! That is the prettiest colour and really suits you too! wow ! great colour ! As part of that Facebook group it's so exciting to finally see a product! The shade looks great, although the packaging is very similar to the makeup revolution/MUA lipsticks that are £1. It doesn't look like you get much in the bullet though. I'm excited to see the rest of their products though! Love this shade! This looks gorgeous on you and I feel kiss cosmetics stuck to safe classical shades everyone will opt for.